Visit Silver Beach, its a great place for a holiday. The beach occupies an area larger than the beaches at Yantai, Qingdao, Dalian and Beidaihe combined. 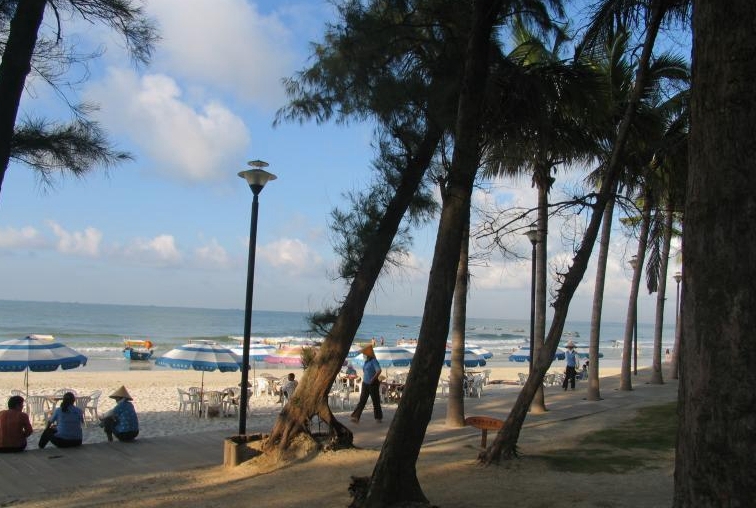 The low tide is fast, while the high tide is slow, making the sea at Beihai very safe place for swimming (at least, during the nine months of the year that the temperature allows for swimming). The name of the city means “north of the sea” in Chinese, signifying its status as a seaport on the north shore of the Gulf of Tonkin, which has granted it historical importance as a port of international trade for Guangxi, Hunan, Hubei, Sichuan, Guizhou, and Yunnan. There is an excellent beach, Silver Beach (quite different from the polluted North Beach), and lots of cheap food, including Vietnamese food since many refugees came here. The weather is warm for most of the year.